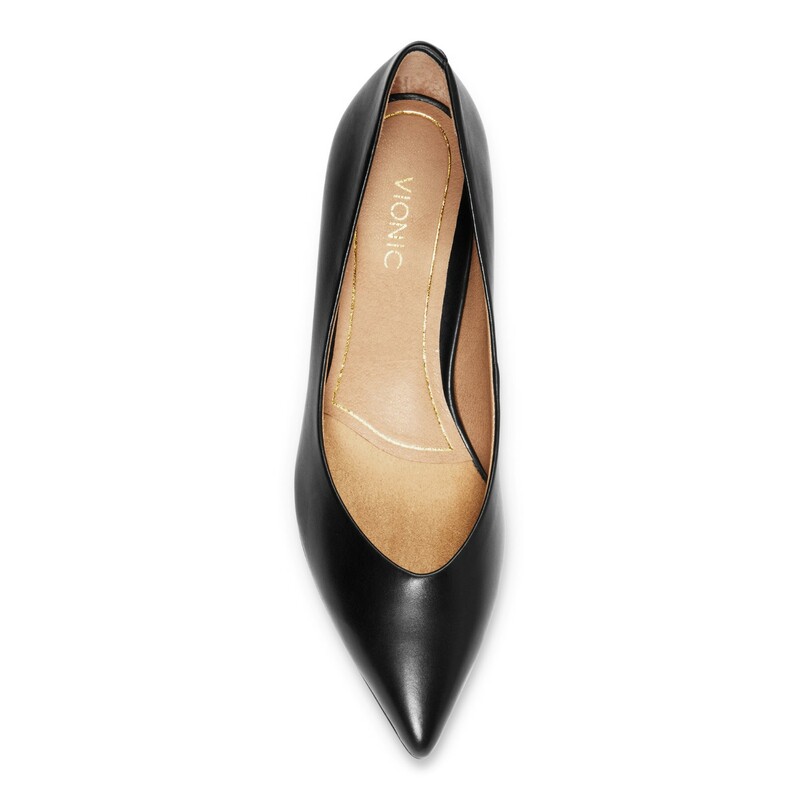 Vionic Kit Josie - Women's Wedge. The Kit Josie kitten heel merges Vionic brand’s trusted biomechanics with modern shoemaking techniques for a style that’s as sleek and f lattering as it is comfortable. Josie features a specially-formulated insole board molded with biomechanic contours, a layer of foam with added metatarsal dome padding to support and cushion the forefoot, a rubber outsole for traction, and premium upper materials including supple suede and leather from Italy and gorgeous floral patent. Natural Alignment with Vionic's Biomechanical Footbed. 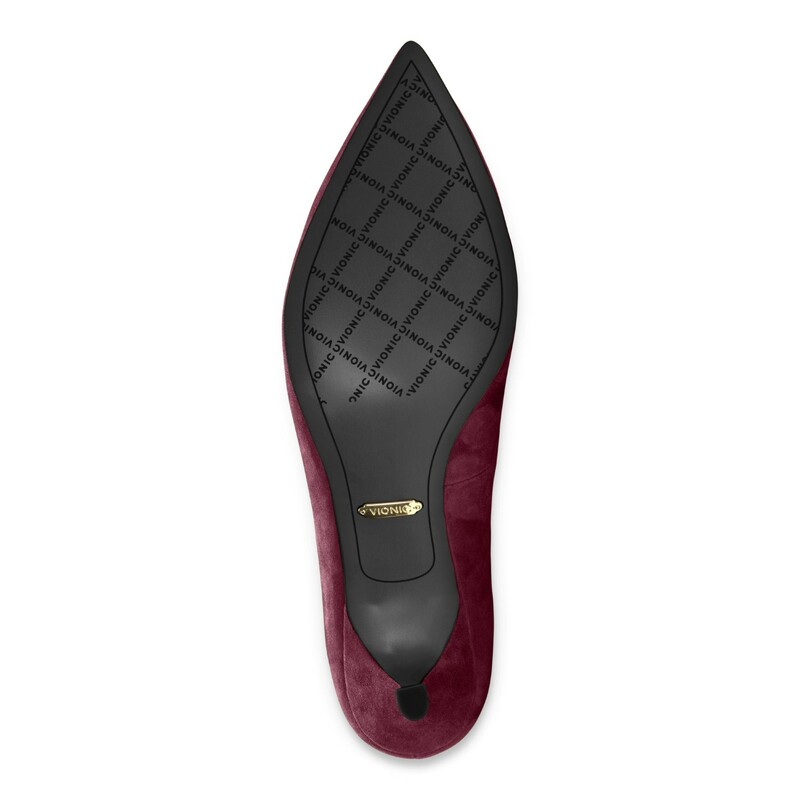 The orthotic-grade footbed supports your feet from the ground up. Amazing arch support hugs your curves. A layer of foam with added metatarsal dome padding to support and cushion the foot. 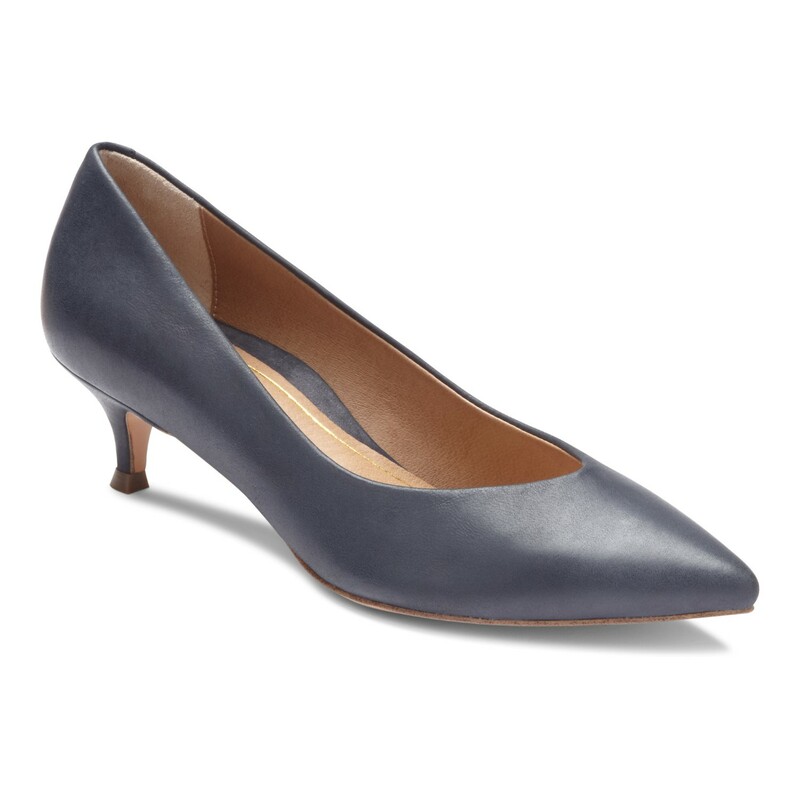 Ball-of-foot cushioning for all-day comfort. 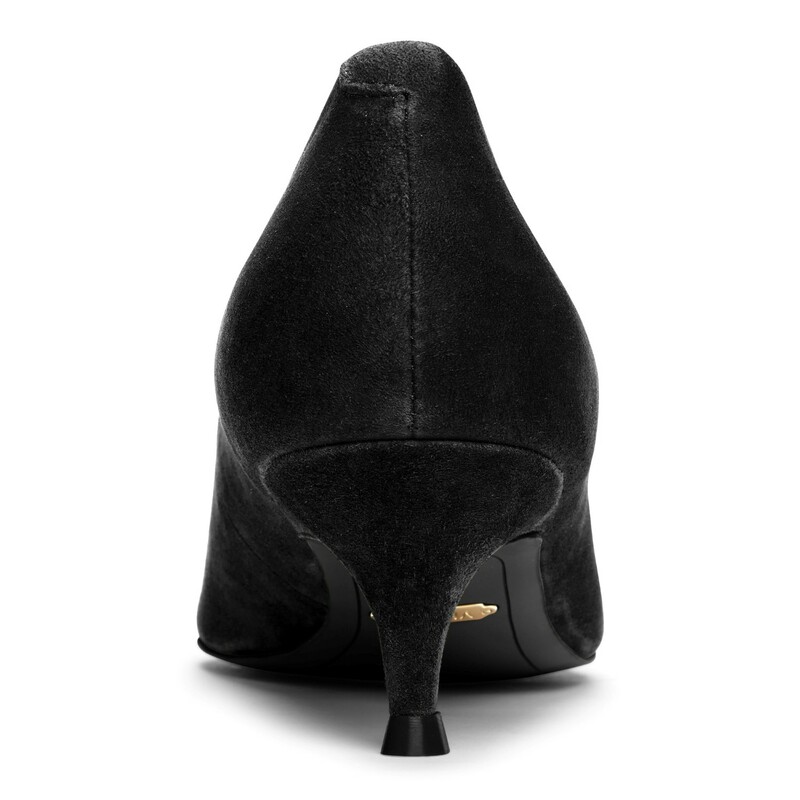 Heel height: approximately 2 inch. 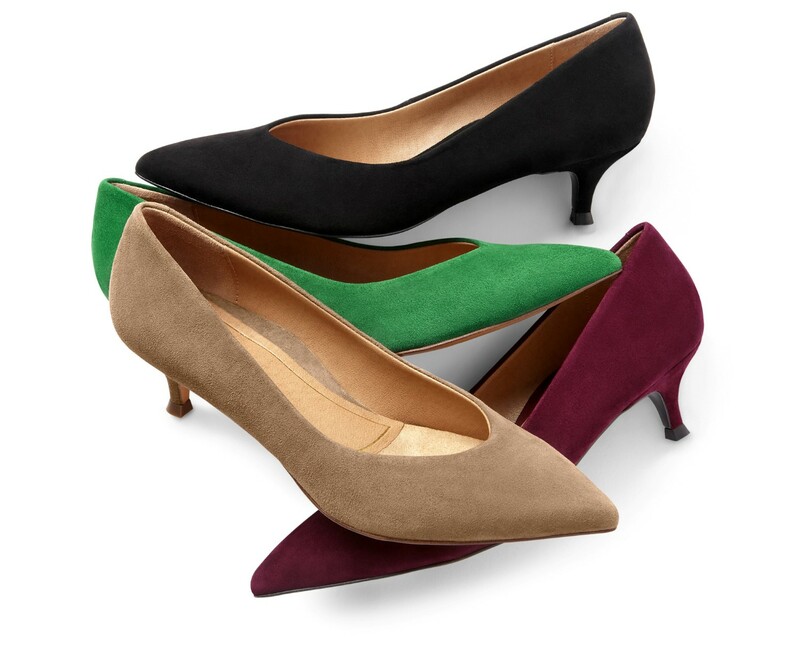 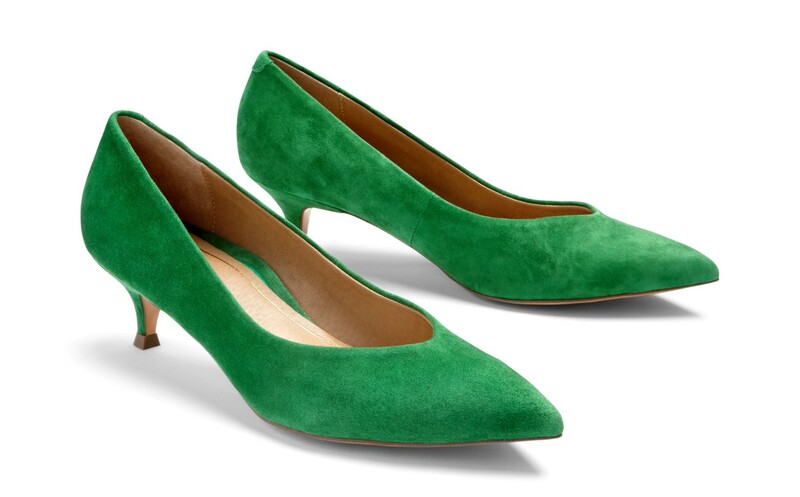 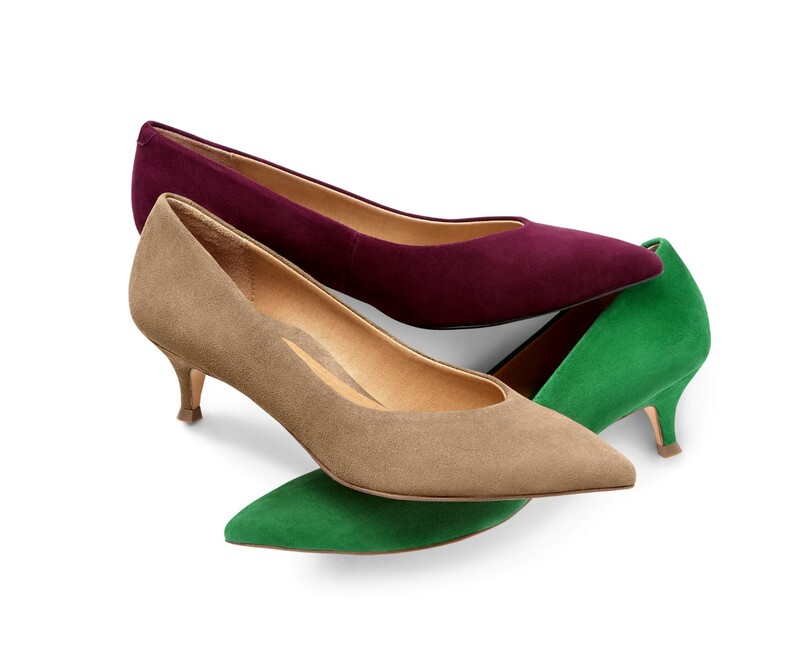 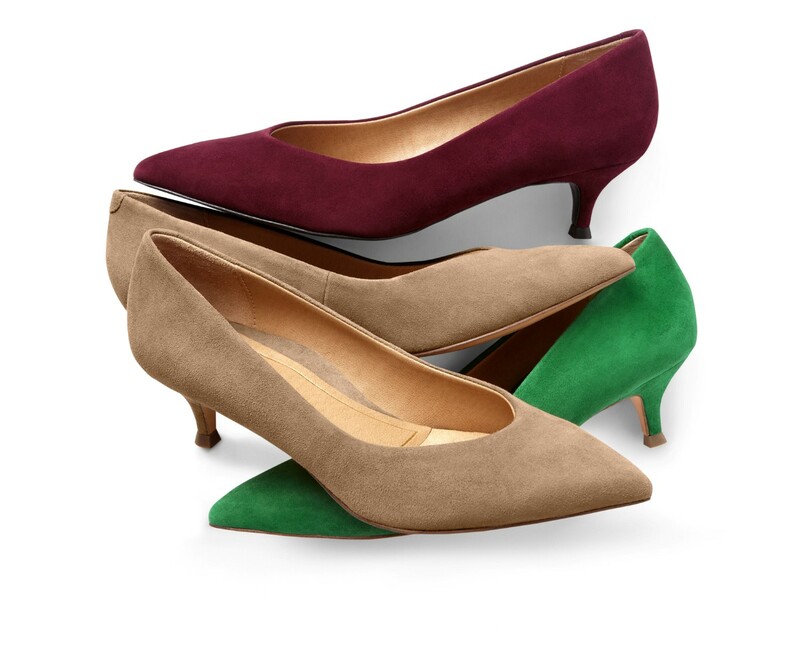 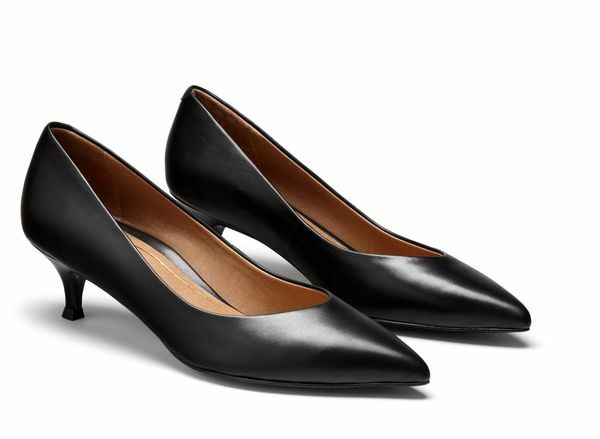 Beautiful fashionable shoes -- way more comfortable than they look and true to size. 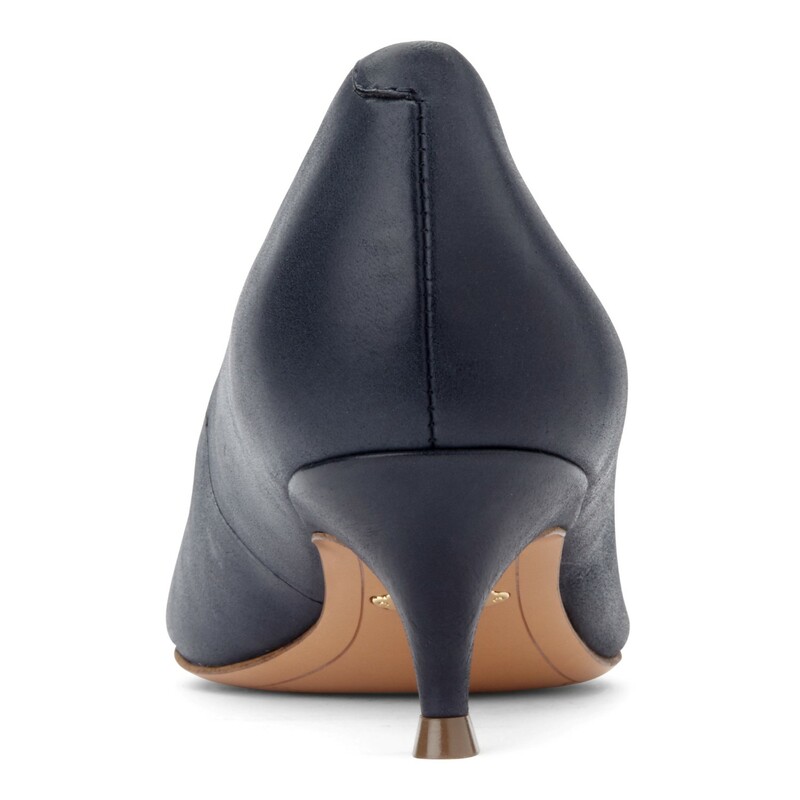 There seems to be extra room built in so your toes don't get squished in the pointy part. Advantages: Great arch support, which is what I buy Vionics for. Disadvantages: A bit pricey but the Ortho Shop coupon helped. 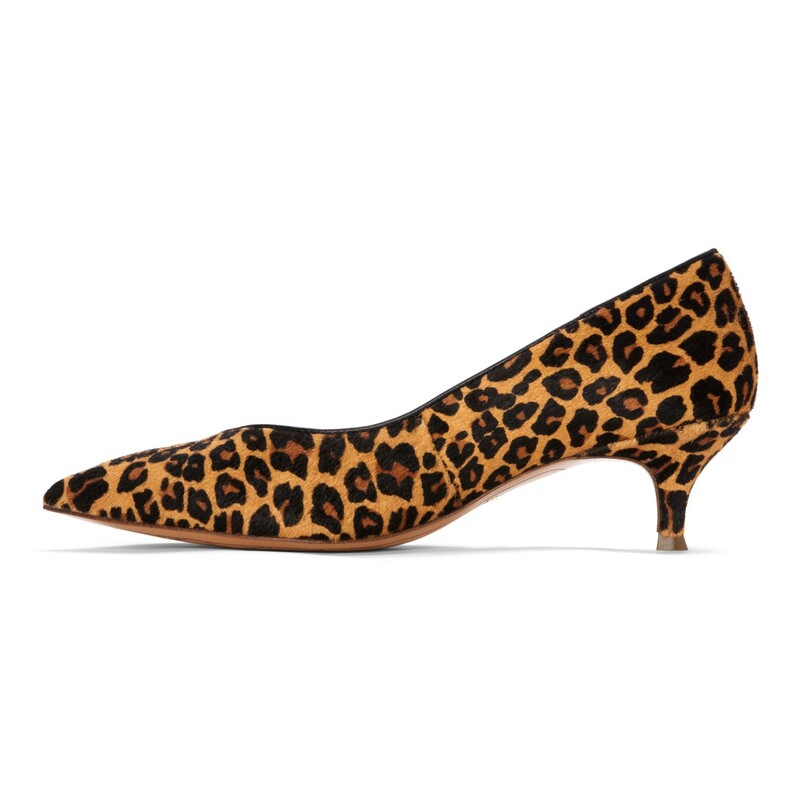 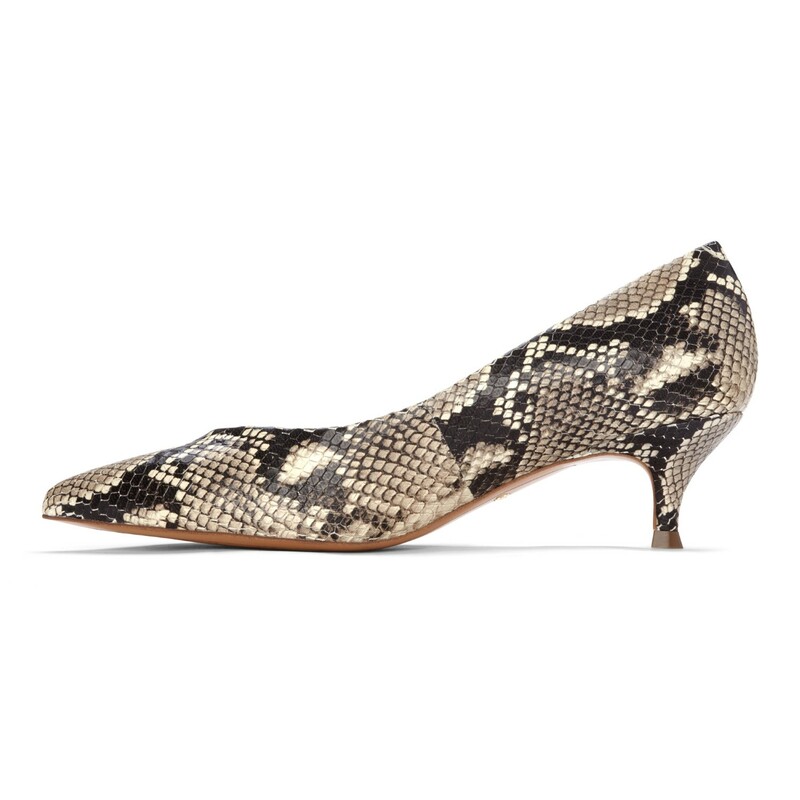 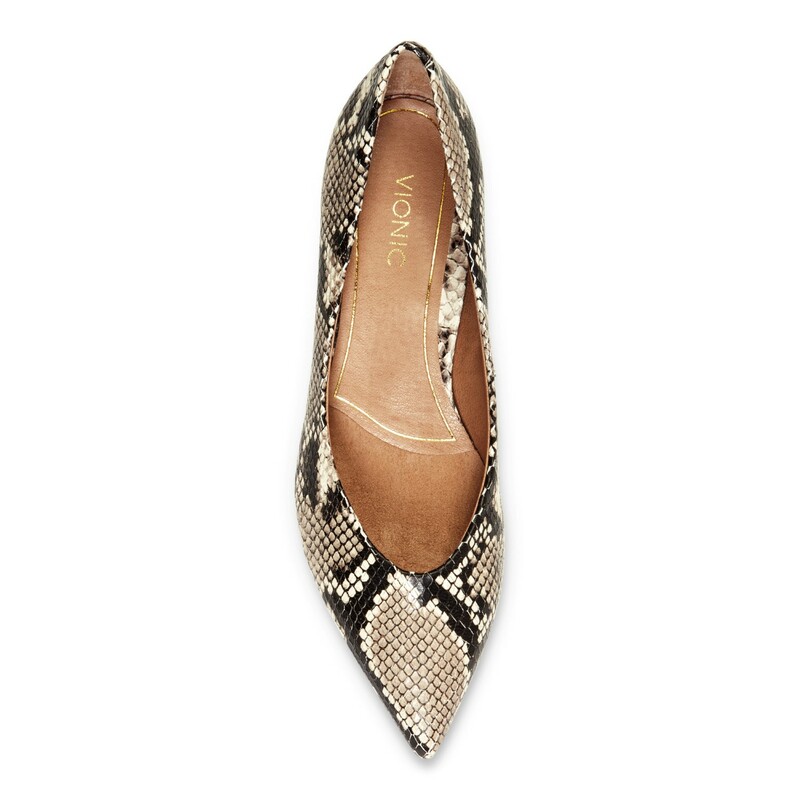 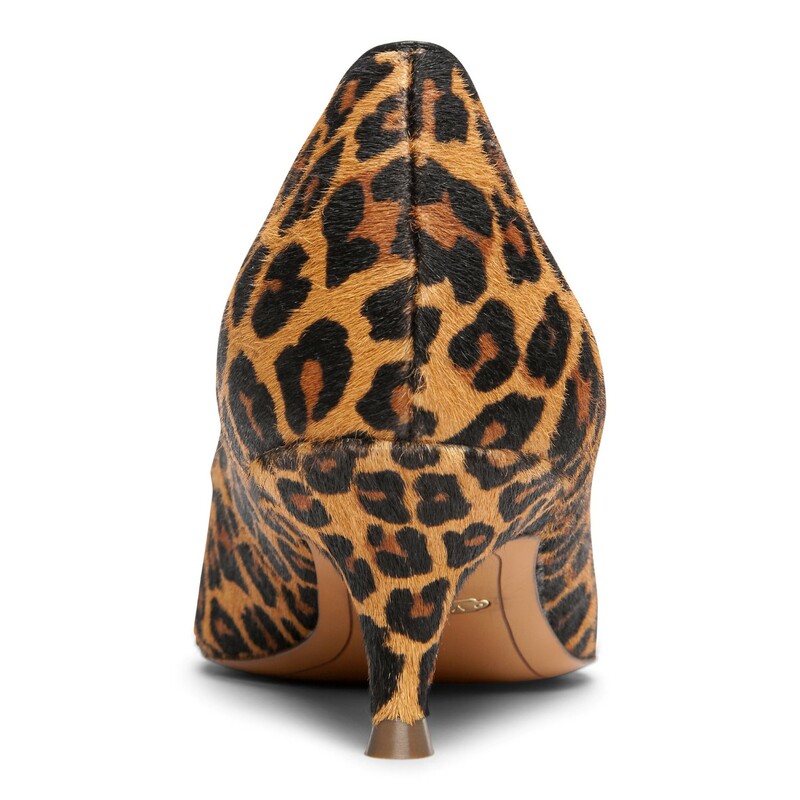 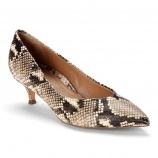 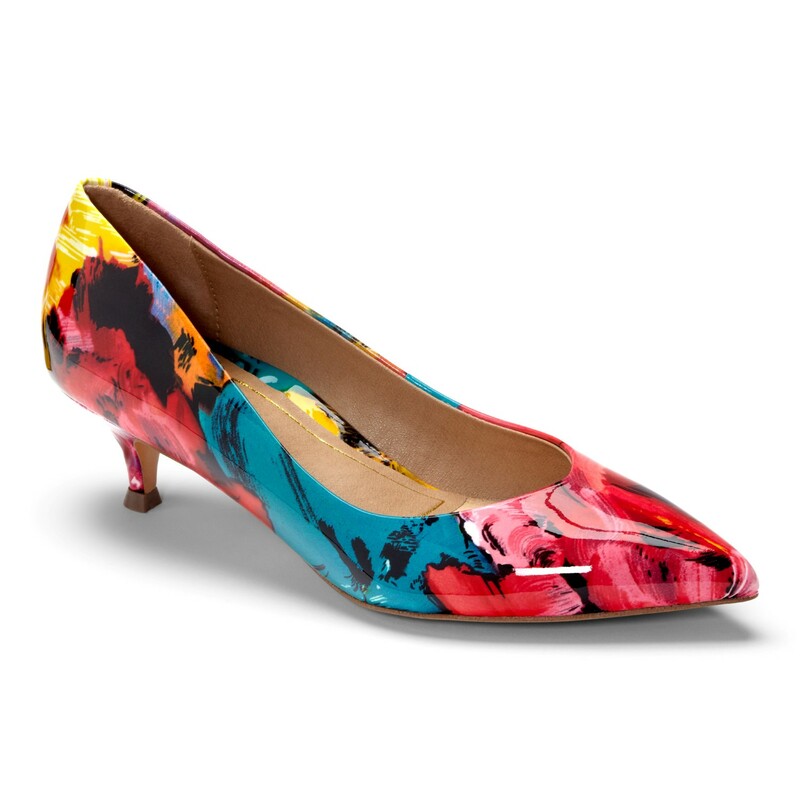 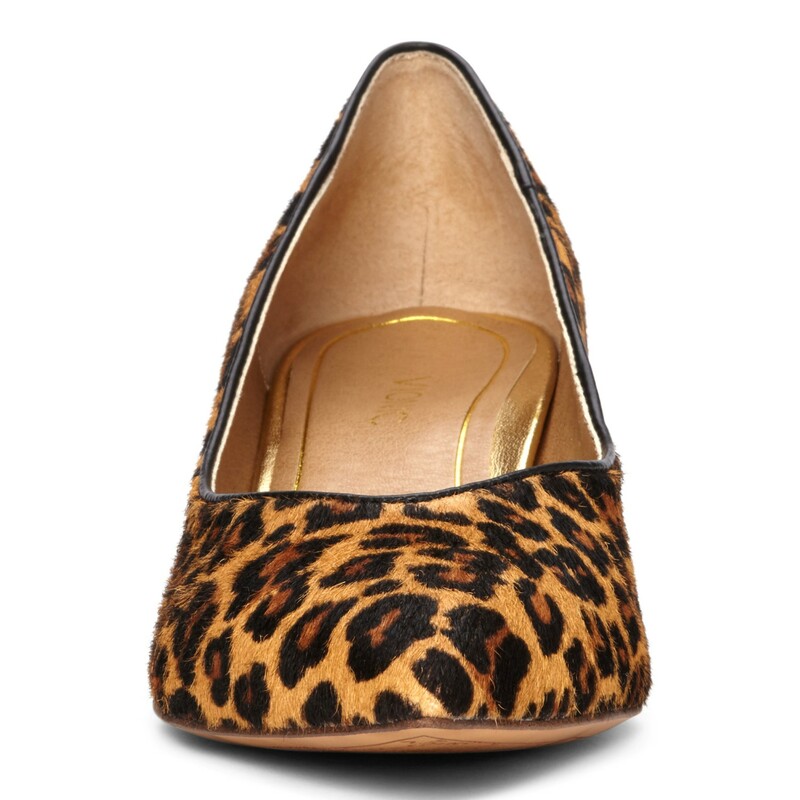 I purchased this shoe in the snakeskin in my usual size 8M and they are fabulous. 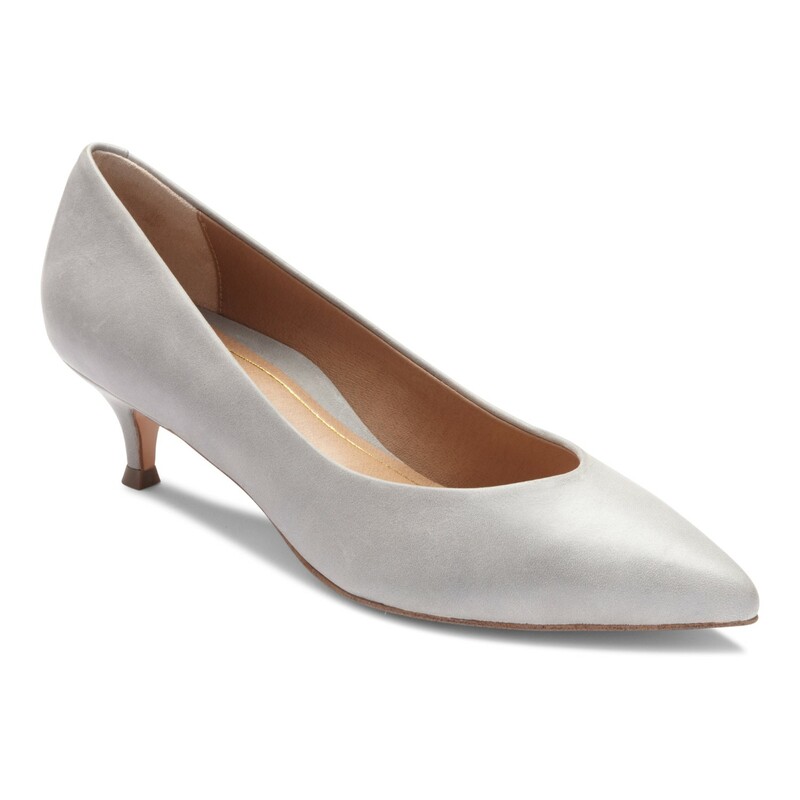 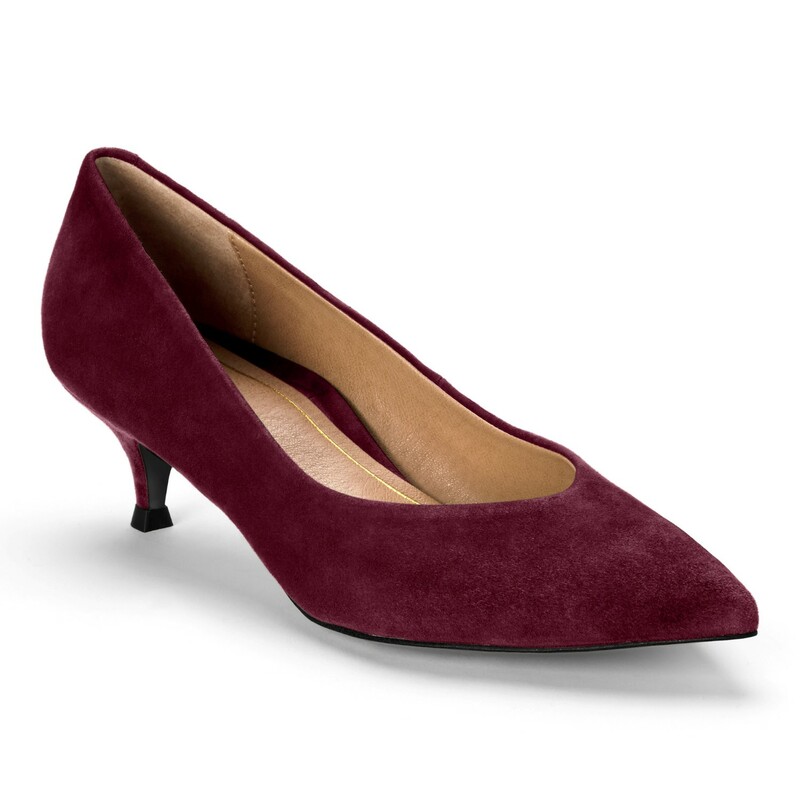 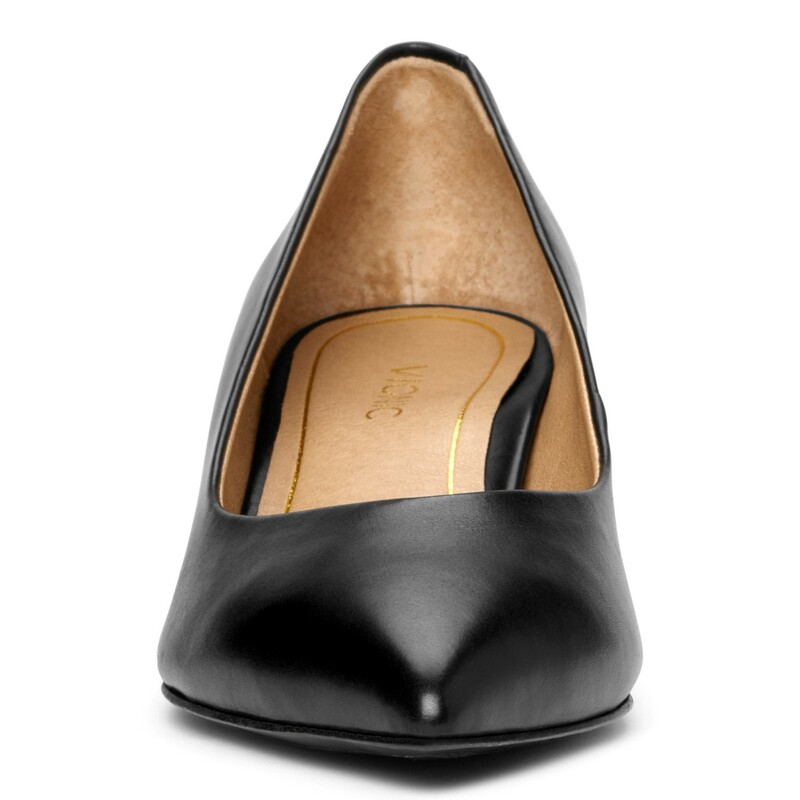 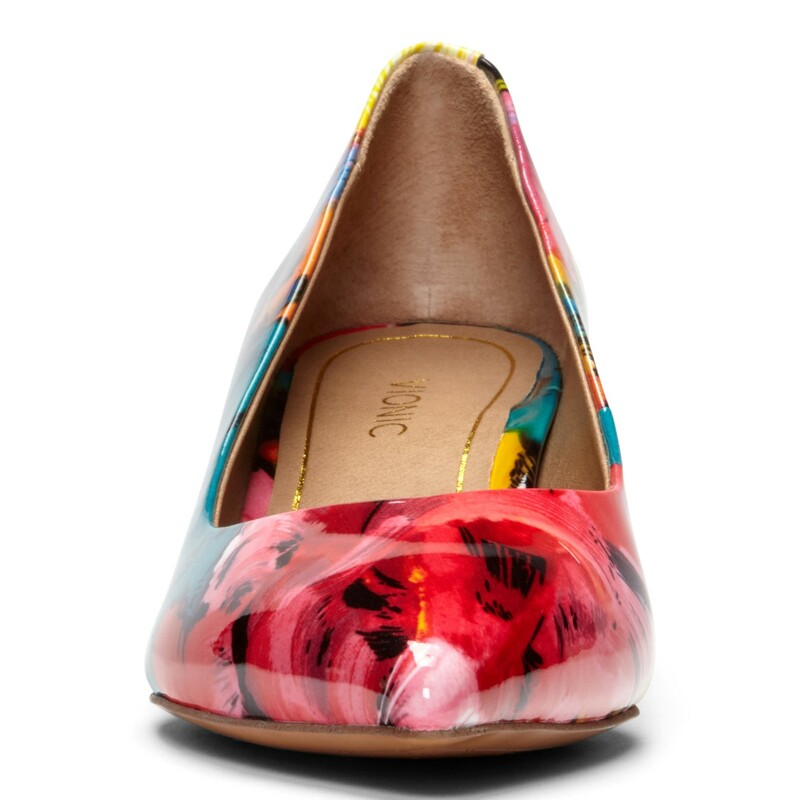 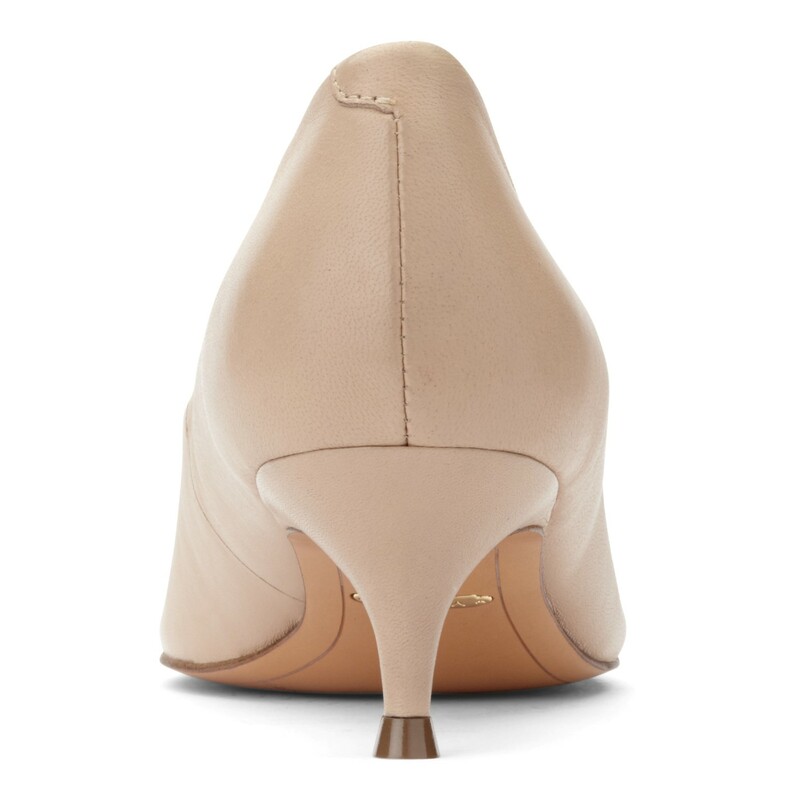 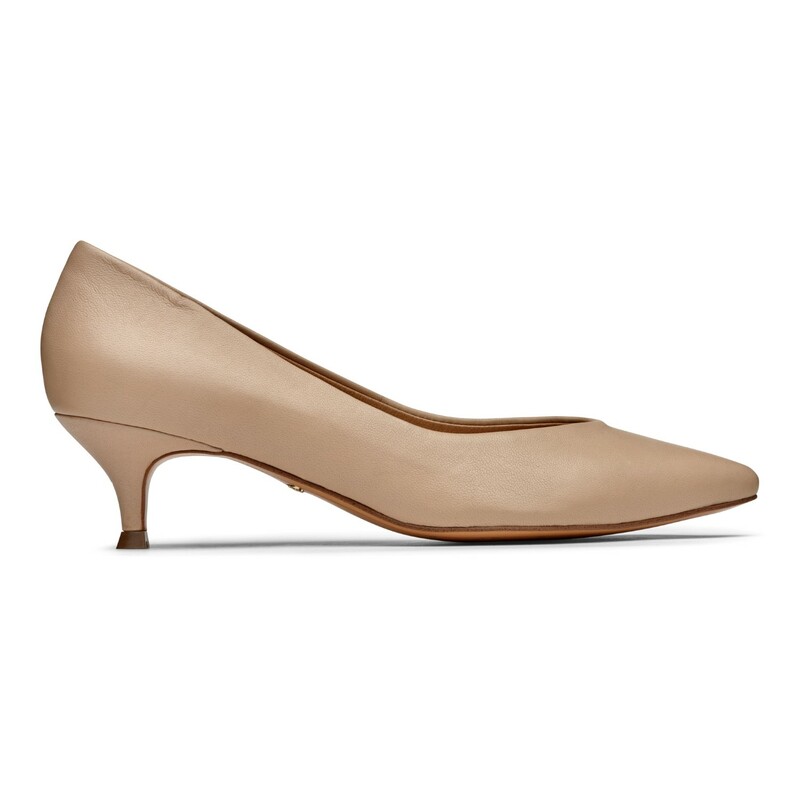 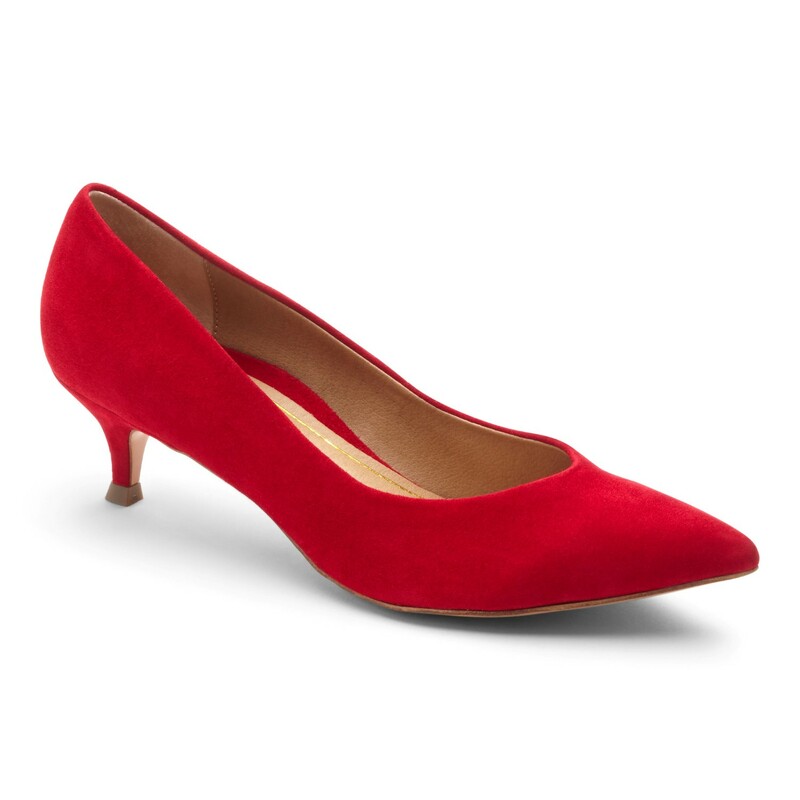 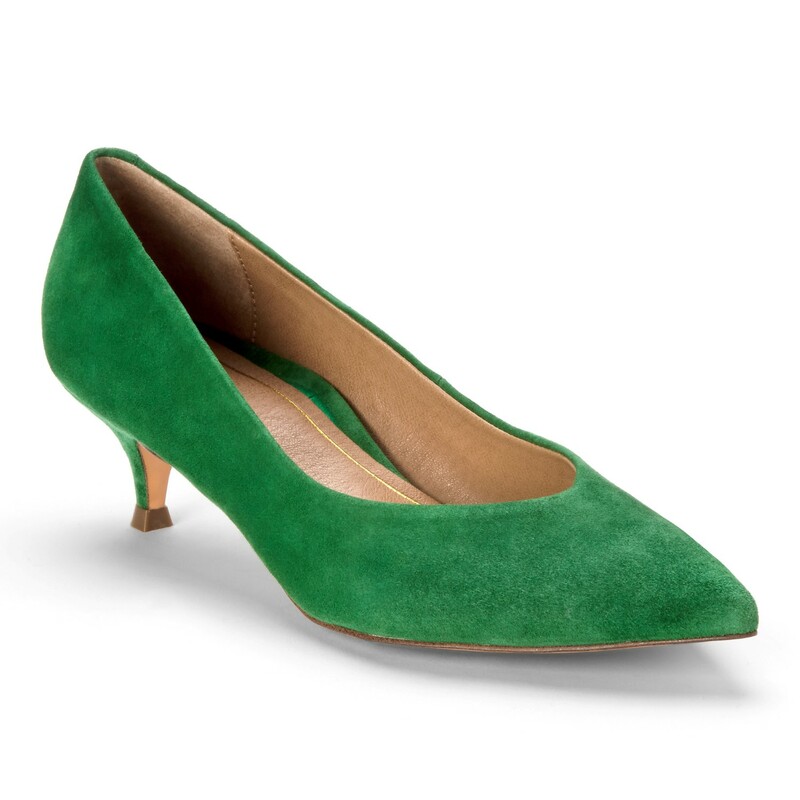 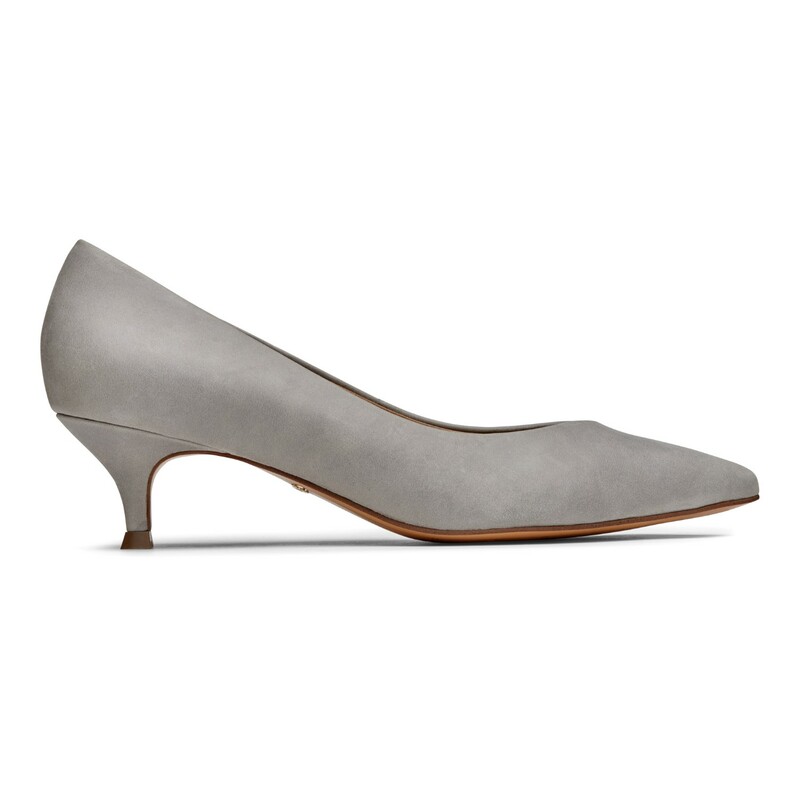 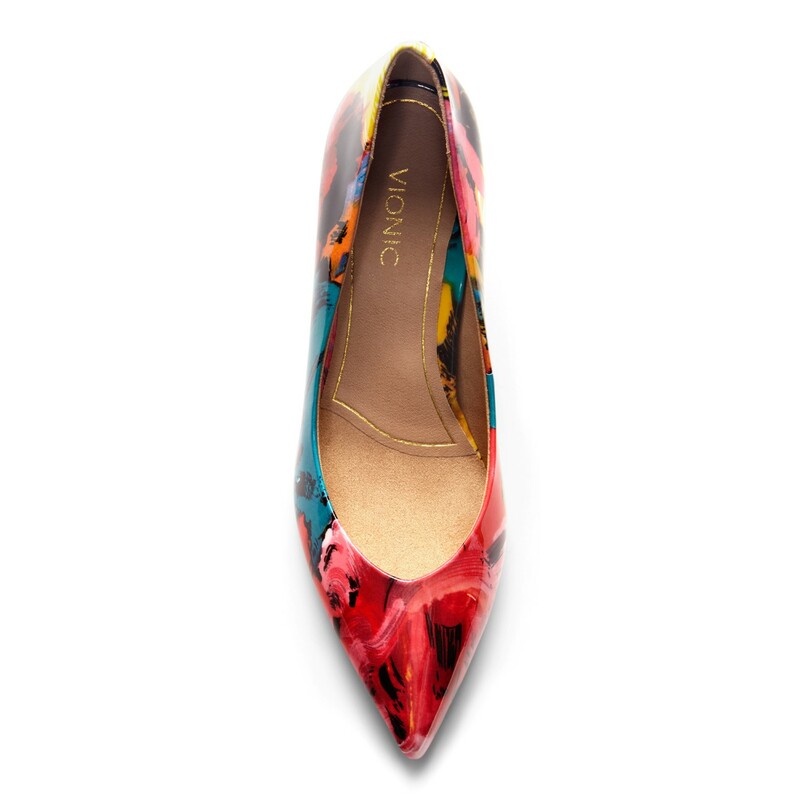 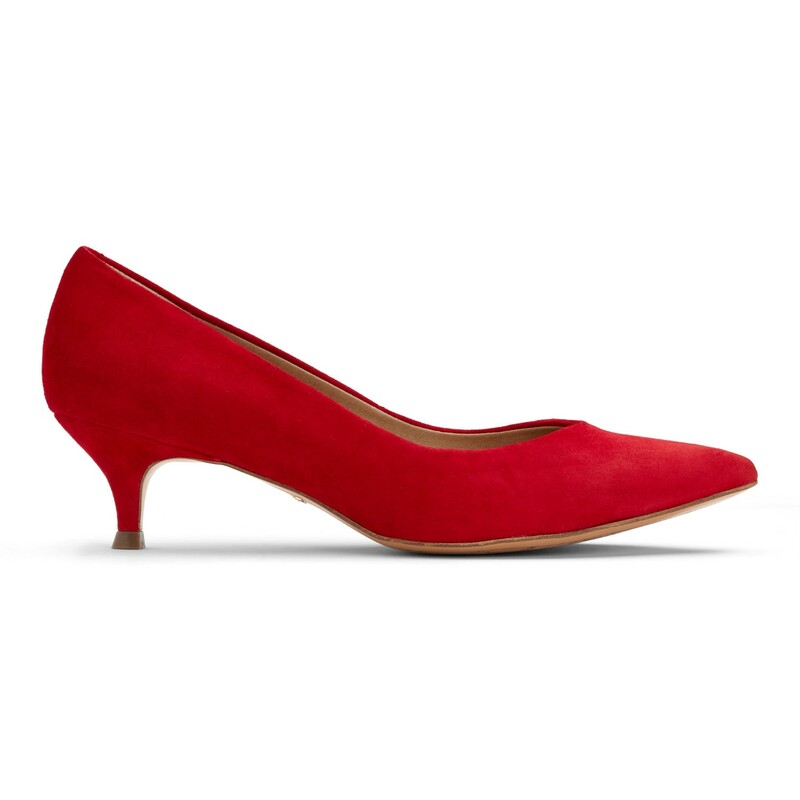 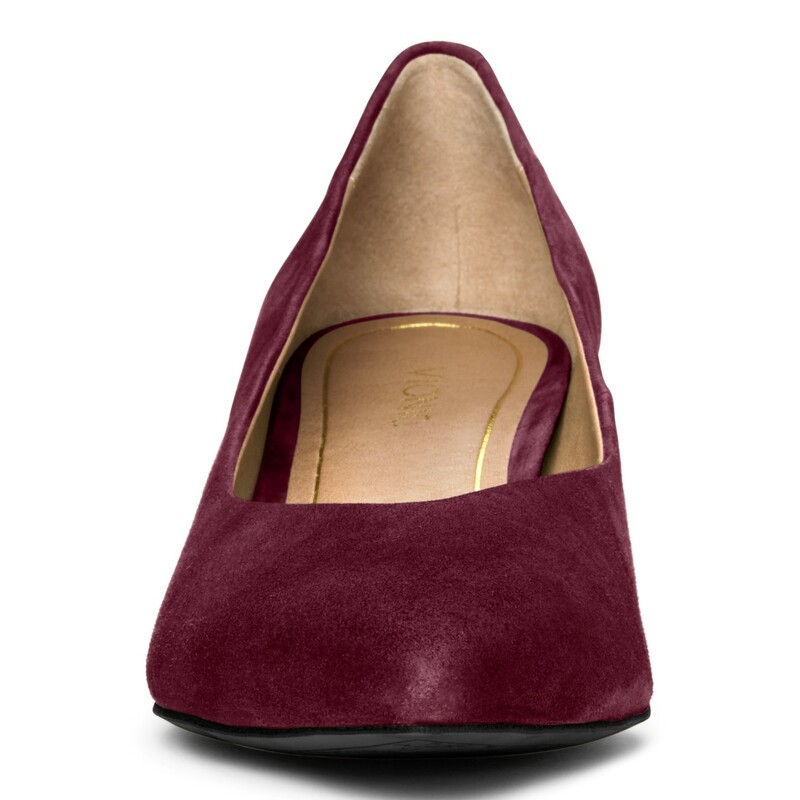 This shoe looks very attractive on the foot, is extremely versatile and is super comfy. 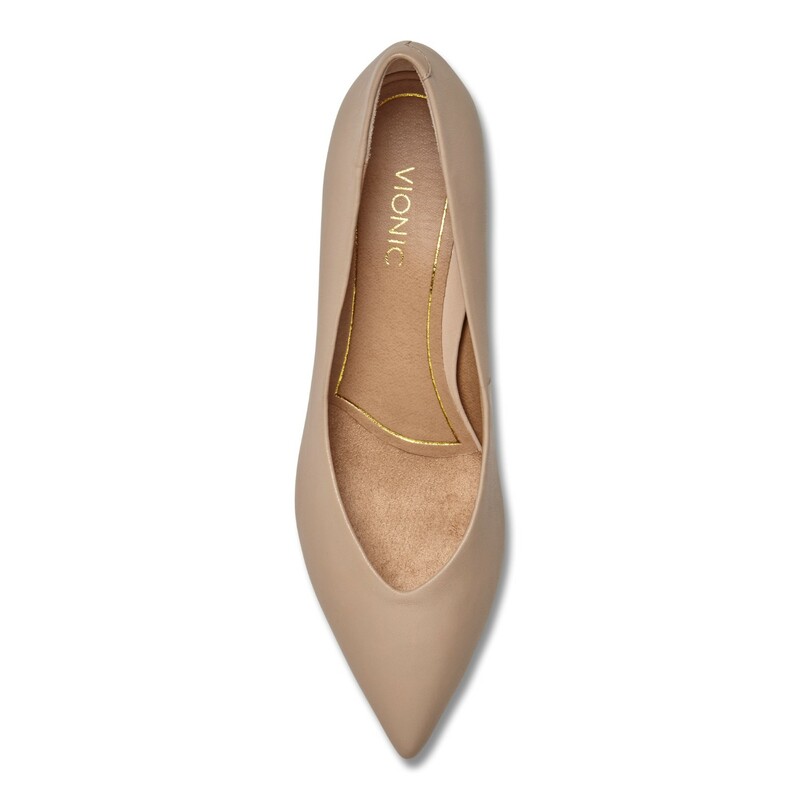 I own lots of shoes and always wear a size 8M in Vionic and all brands. FYI, I am a fit shoe model (work with many brands)for Size 8M and this shoe runs true to size. 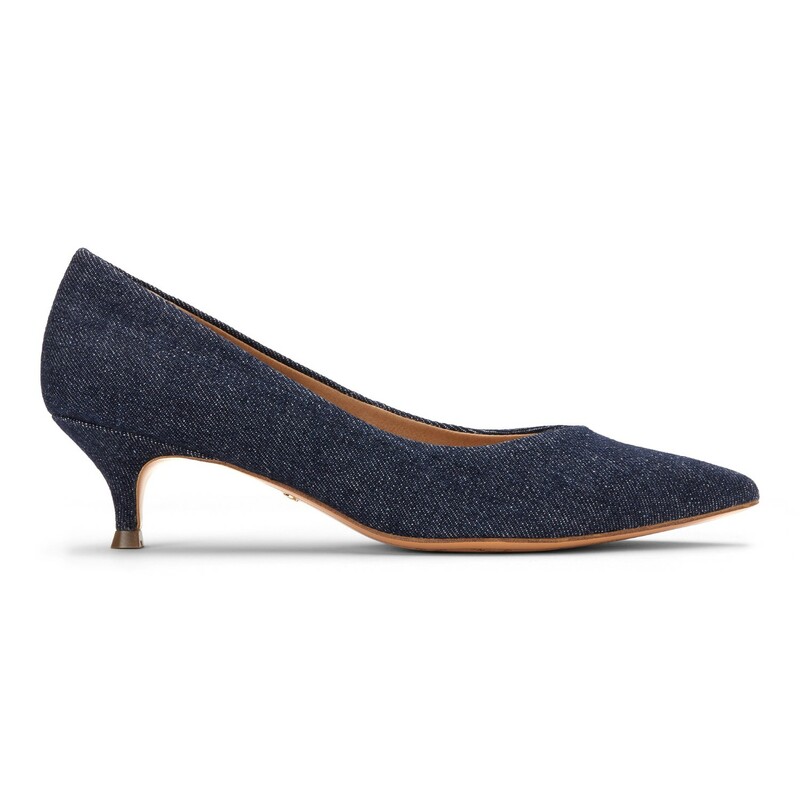 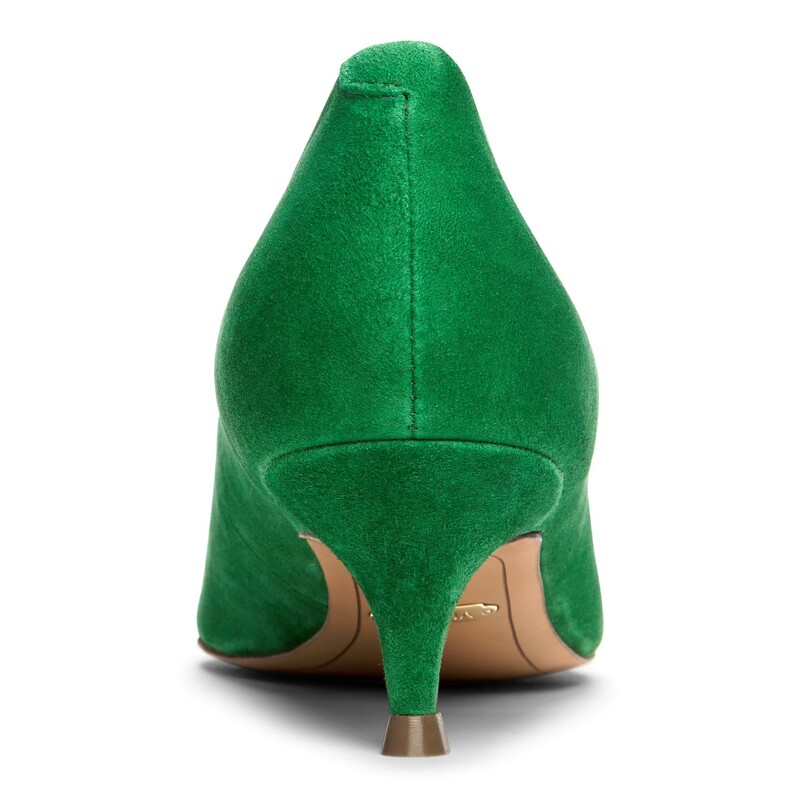 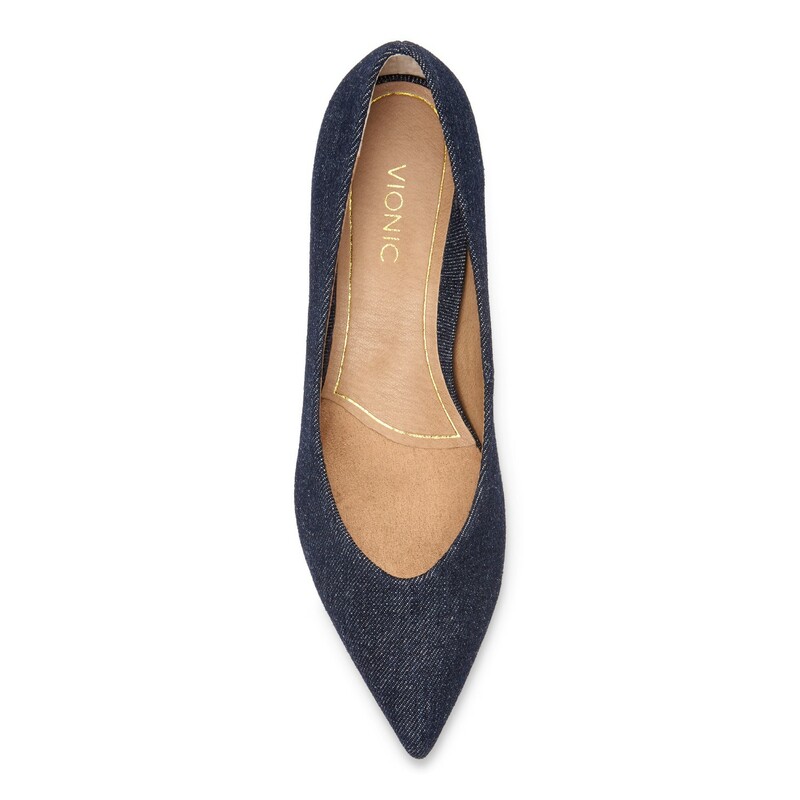 I also have this shoe in black suede and I'm going to buy another pair in the denim. 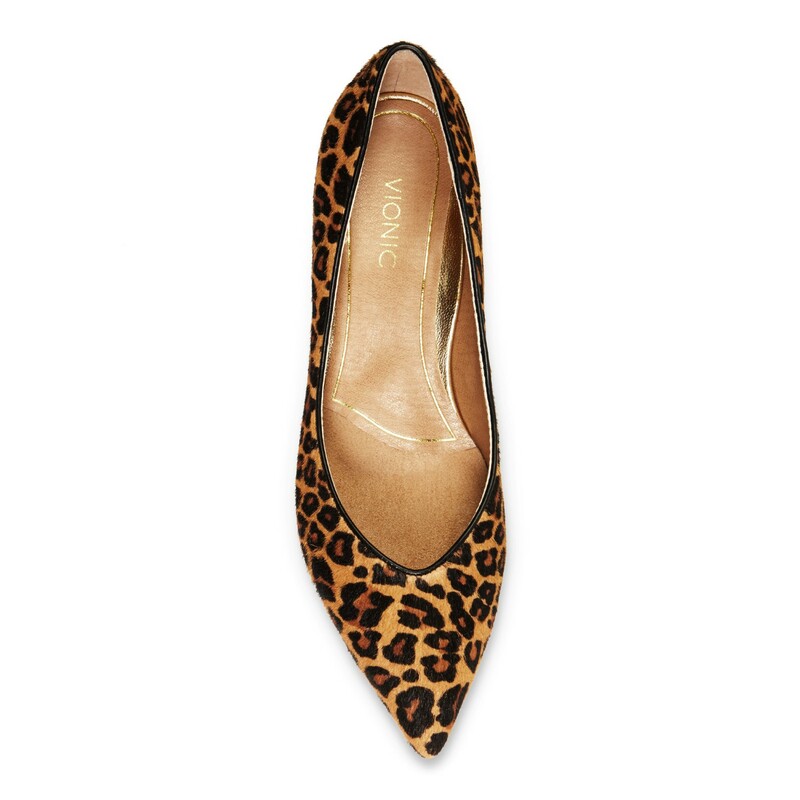 Love Vionic & own over 25 pairs. These shoes were beautiful but ran very small. I wear Vionics literally every day but my normal size in the shoe was very tight and too uncomfortable to wear. 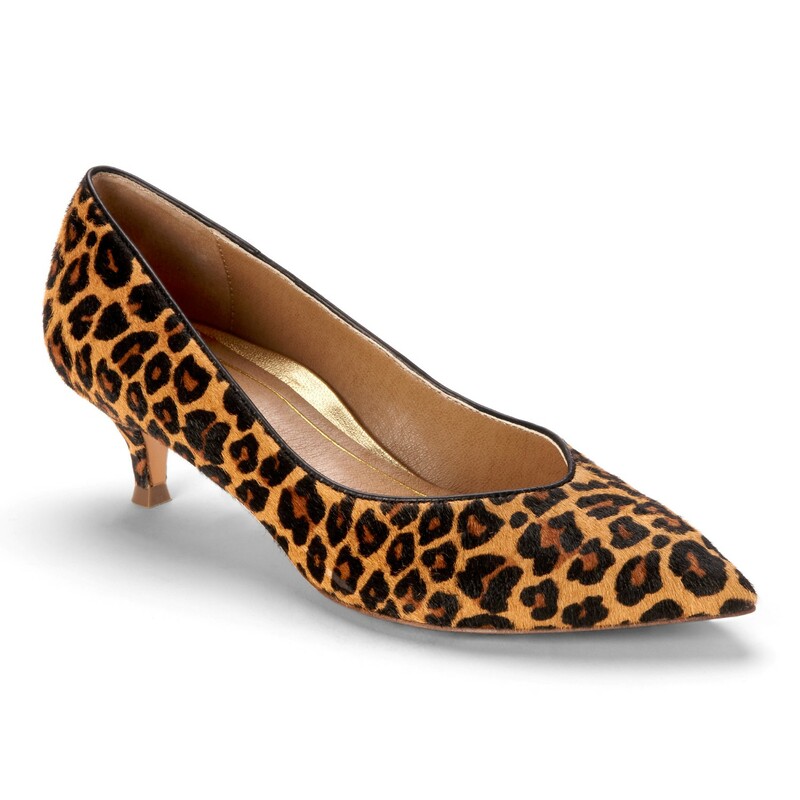 Unfortunately I had to return them. 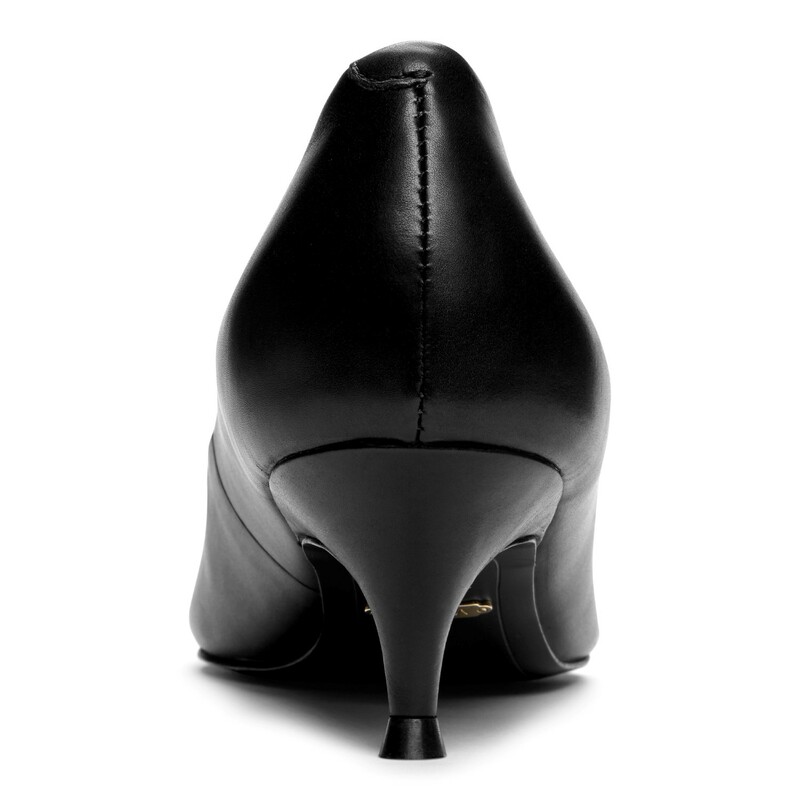 Disadvantages: Too small and too tight to wear. 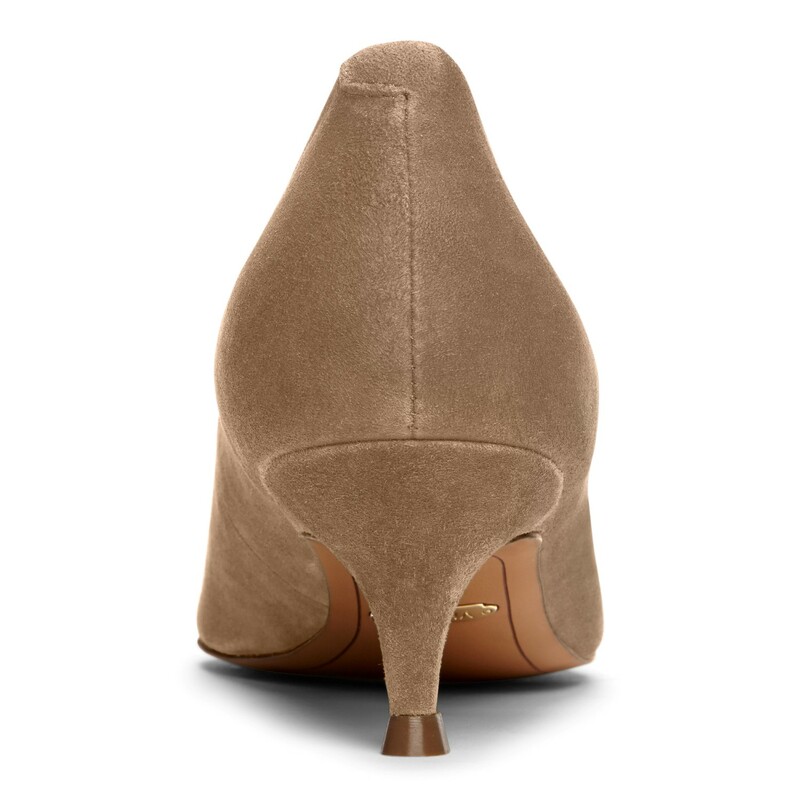 I’m not sure even a larger size would help because of the tightness.